Before Liz heads out, Rachel&apos;s mother introduces herself as Naomi. Hayden wonders how her mother found her and why. Naomi claims she heard about Nikolas. She wants to "be there" for her daughter. Hayden accuses her mother of destroying their family by calling the Feds on her father. Jordan arrives at the hospital to get a statement from Lucas. Lucas explains that he was attacked, but can&apos;t describe the assailant, who was wearing a lab coat, cap, and mask. Jason and Sam continue to put the pieces together. They decide that Nikolas staged the mess in his room, put a dummy on the rocks below for whomever to find and think was him, then escaped through the tunnels after removing the dummy. I say, that&apos;s a lot of moving parts that have to work just right. Nathan wants to confess to Maxie, who suddenly doesn&apos;t want to hear it. Maxie stops interrupting long enough for Nathan to explain that he was upset by Claudette cheating on him. As a result, he got stinking drunk, found her in bed with someone, shot the lover, and passed out. Nathan says he never reported it, though he tried to find the injured party and never did. Maxie is shocked with the lies and feels this isn&apos;t the Nathan she fell in love with. 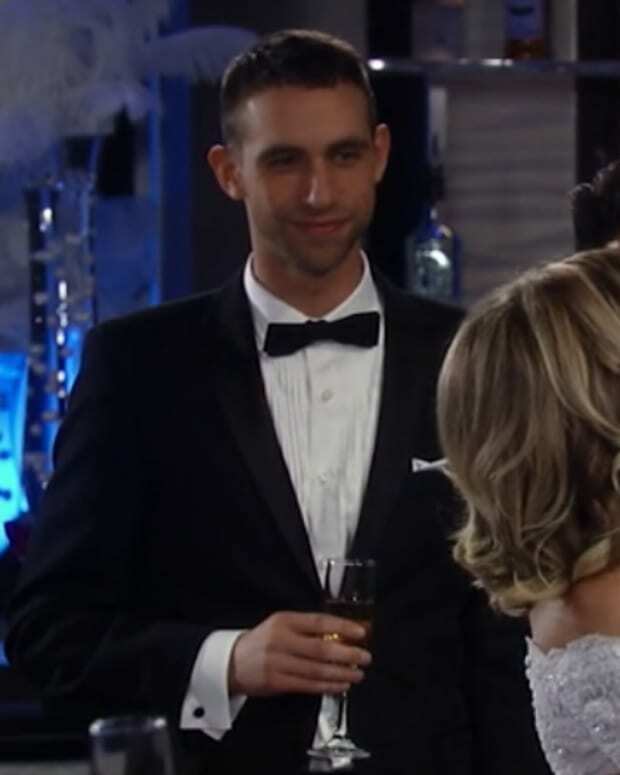 Nathan wonders if they&apos;re still getting married, but Maxie&apos;s worried that Claudette could show up and mess everything up. Maxie needs time to sort things out. When Liz gets to the hospital, Franco notices that she&apos;s upset. She complains about Nikolas&apos; disappearance and the utter horror that is Hayden. Later, Liz snarks at Dr. Obrecht, forcing Franco to defuse the situation. He offers to help her with her Hayden problems, so that Liz can get a win. Liz wonders what he has in mind, then decides she doesn&apos;t want his help with this. Jordan wants a copy of the work schedule from the night Lucas was attacked. Mays says Lucas&apos; memory is tainted. Liesl points the finger, again, at Finn, accusing him of being a drug addict. Finn says she&apos;s crossing the line and spreading rumors. Mays agrees that there needs to be a review of the recent deaths. Jordan tells Finn to make himself available to her questions. Jordan tells Monica that there&apos;s a warrant for Jason&apos;s arrest. Monica calls Jason and lets him know. Jason and Sam decide to play dominos and get drunk. Monica asks Finn if he&apos;s a drug addict and he denies it. She tells him to take a drug test to prove it. Mays questions Liesl&apos;s convictions that Finn is the guilty party. Liesl is certain that Finn is hiding something and will find out what it is. Naomi tells Hayden that she can deal with the Feds that are interested in her. Hayden&apos;s happy for her mother&apos;s help until she finds out the real reason for the visit. Naomi is there to track down the diamonds. Hayden claims she doesn&apos;t have them, but Naomi says they were registered. She also knows that Nikolas sold one. Hayden finds her mother as annoying as Liz Webber. Naomi reacts to the name, so Hayden questions whether she knows Liz. Naomi claims the name sounds familiar, but that&apos;s all.